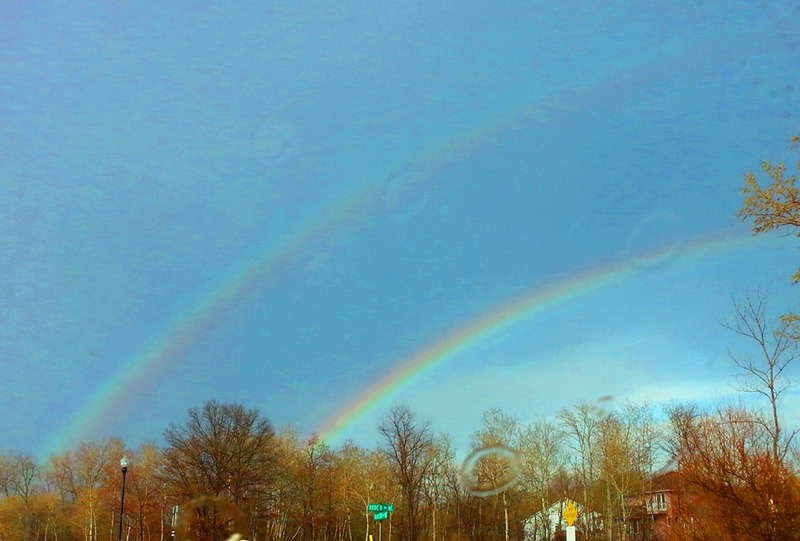 Double Rainbow–Has Spring Finally Sprung? Caught this double rainbow a week or so ago, of course I think we have had a couple more snow storms since then. But I think NOW we have finally gotten rid of winter and sprung in to Spring! A couple of raindrops on the windshield there, so though the snow seems to have gotten out of our systems here, there is still plenty of rain in the forecast. ← Free Comic Book Day… YAHOO!